ACMI non-toxic featuring 27% to 30% quality pigments. 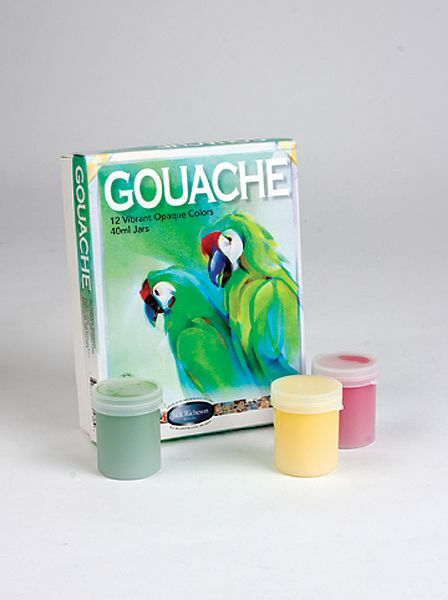 * Creamy vibrant non-transparent color provides dense coverage and dries to a mat velvety surface in about 30 minutes. 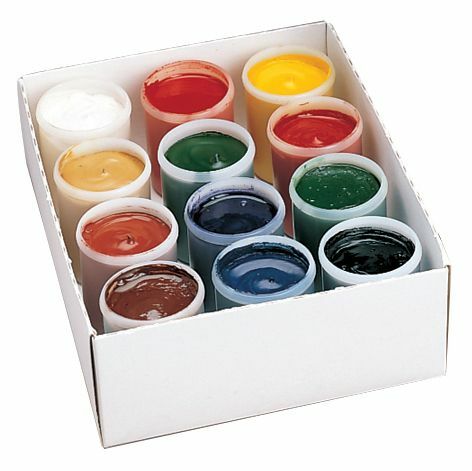 * 12-color set includes zinc white yellow light ochre yellow red vermillion alizarin crimson iron oxide prussian blue emerald light violet green deep mars brown and carbon black. 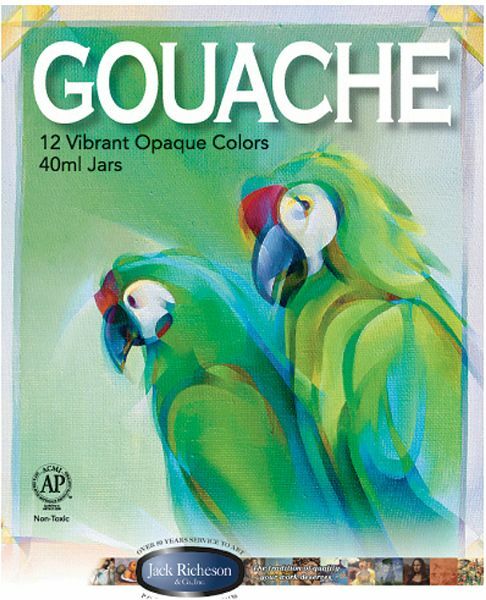 * 40ml in plastic jars. 8.5" x 3" x 0.5"